Just a ‘calendar boy’ or the last man standing? Is Syed Ali Geelani an overrated leader who has failed the nation? Or, is he the one who kept the resistance alive despite crippling curbs by the State? Will the resistance sink with his departure? Or, will his legacy spur the azadi movement in the times to come? Calendar boys are by definition bubbly, youthful fast guys of the fast lane. By that description, Syed Ali Geelani, SAG, obviously doesn’t qualify to be one. But SAG is, without doubt, different material to be not considered for this title. 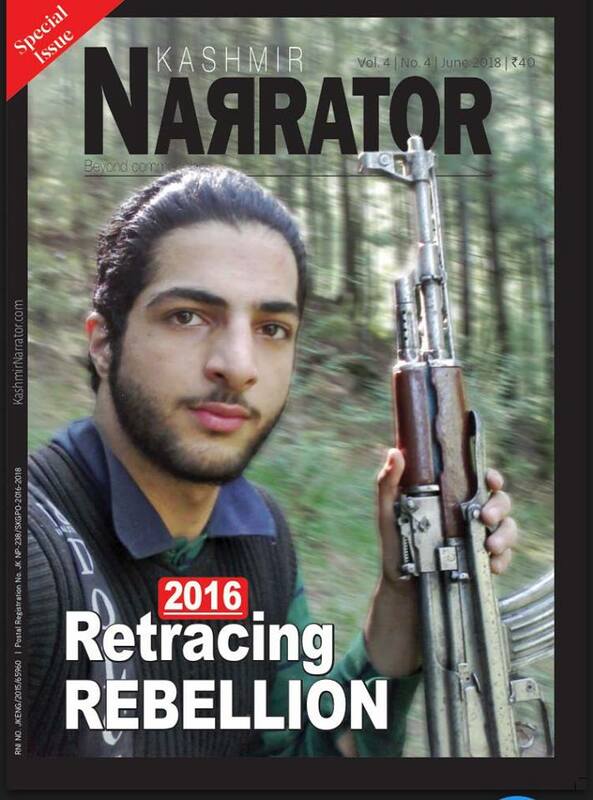 With his untiring hartal calendars, he can comfortably lay claim to being the ‘calendar boy’ of Kashmir. That too, when the sun of life is fast setting on him. Or just seems so, as he dodges old age and life-threatening ailments to the surprise of his well-wishers and unease of those who want him gone. But no matter how long he stays there, SAG’s legacy would be difficult to ignore. He has already institutionalised his trademark strike calendars as the core strategy of Kashmir’s resistance movement — a template others elsewhere would be tempted to follow. He has also shown us how effective strike calendars can be in immobilising the State and crippling all imaginable aspects of the very people’s lives he claims to lead. Curiously, SAG has also demonstrated how such strategies can be turned on their head and rendered ineffective and counterproductive simply by overdoing them. Even if persisting with such tactics fly in the face of basic common sense, never mind. Just look the way. Maybe it works by some miracle. That’s what SAG seems to believe. And only he can do it with an unflagging grit. Just as he has done it before – 2008, 2009 and 2010. And now 2016. No mean feat this by itself. Now we are told there may be yearly calendars instead of weekly ones as the resistance camp is reworking its script. For now, though, it has been slashed to a day a week — an oblique admission of failure of the back-to-back shutdown strategy. This template of resistance would be difficult for SAG’s successors to get rid of. It is seductive in its nature and easy in its enforcement. It provides the leaders with a feel of power and an opportunity to exercise almost the same coercive control over people’s lives as is wielded by the State. Never mind if these strike calendars hurt the common man many times over than they do any damage to the occupying State. In Kashmir, the common man doesn’t matter. You can hit him left, right and centre and swear you are doing all this exclusively for his good. But why has SAG been so doggedly persisting with writing his calendars when the general opinion is to the contrary? One answer, one word: inflexibility. That is what defines SAG as a person and his brand of politics as well. There isn’t much to it other than this. Otherwise, we would have seen it in action as Kashmir rises in one uprising after another each more intense than the previous one. But, always with the same results: death, devastation and an inglorious fade-out. SAG cannot be blamed in whole for this. But, since he presents himself as the face of Kashmir’s azadi movement and is the architect of the resistance strategy, a good part of the blame goes to him. His self-imposed rigid political dogma is counterproductive and crippling. That much most Kashmir observers agree upon. Wouldn’t be wrong to say that over the years as the azadi sentiment in Kashmir has intensified, SAG, in contrast, has increasingly made himself a prisoner of his parochial policies. This obviously cancels out any room for maneuvering to adjust to exigencies of a particular period. This also makes it easy for his critics to put a bad label on him. Whenever SAG’s name comes up in the largely pro-establishment Indian media, it is invariably prefixed with ‘hawk’ or ‘hardliner’. That’s the dismissive image he is generally cast in. These labels are deliberately used to put a negative ring around SAG and thereby the entire movement as well. The ploy is to suggest there is something inherently wrong with the person, his politics and the movement he is leading. That, in turn, justifies making SAG a persona non grata and in rendering his line of ideology inadmissible and hence unworthy of any consideration, leave alone any engagement. What these people give a convenient miss to are the policy-level pervasive military and political transgressions by the State, its hardline and hawkishness (and these are soft words) adopted towards SAG and Kashmiris for their resistance to the State which the people unequivocally see as an occupying entity. Those who closely know SAG describe him as anything but a hawk. He is seen as sober, honest and temperate. He has hardly ever taken ill of any criticism in the media even when directed at his person. This is unlike other leaders in the resistance camp. If you mess up with them in the public space, be sure their goons will come calling. SAG’s supposed ‘hawkishness’ is probably because of his make-no-compromise strain of politics and unwillingness to yield any political ground, unlike his predecessors and contemporaries. For many, that is sensible politics in the Kashmir context. Here if you give an inch, they take your entire land along with its flora and fauna. That is what makes SAG a much-valued commodity in the resistance matrix of politics and a much-reviled roadblock in the occupational juggernaut. People who know him from close quaters also see him so abundantly egoistic that any dialogue on anything less than his own script is always a non-starter. He can’t look beyond himself, his ego and his narrow band of politics. And that is a serious issue. Politics of such leaders usually ends with their own departure. That apart, SAG is decidedly the only of his kind in the resistance camp. But, despite the credibility and following he enjoys among the public and respect from opponents, he has been unable to translate it into anything meaningful on the larger political canvas. He has time and again failed in using his stature in producing any momentum in the azadi campaign, even at times when, by his own calculations, Kashmiris have been ‘close’ to azadi as never before. In fact, it has always been the other way around. It is the movement that produces momentum in him. SAG probably cannot see himself playing the big-time visionary leader of a freedom movement. Instead, he seems to have settled for running the azadi campaign by the narrow and limited dynamics of agitational and electoral mode of politics. The hangover of his days in electoral politics seems difficult for him to rid himself of. That way he has reduced himself to a caricature. Even when the people have been facing a full-blooded military crackdown for their resistance, SAG’s leadership has fallen way short of meeting the challenges. At best, it has been casual, ad hocist, prosaic and predictable. He thinks the desired results will somehow emerge just by doggedly holding on to his political stand. Steadfastness is alright, but it cannot be turned into a policy. The idea of political maneuvering seems to be absent from SAG’s playbook. So is improvising to suit the requirements of times and ensure minimal harm to the people who form the core of this movement. A college graduate will probably produce a better set of ideas to advance the movement by extracting advantages from the universal support Kashmiris have shown for azadi. There are few movements around the globe where people are so resolute and relentless about the demand for freedom. And that too despite the relentless retributive military policies of the State. A serious problem arises when you analyse SAG and other resistance leaders’ approach towards their goal. They feel azadi is all about one big thrust where you can push the State over the precipice along with all its predatory military wherewithal. While other leaders may be inexperienced or incompetent or both, SAG, as a seasoned leader, could have shown the path by strategising the movement in terms of incremental political gains. Instead, he believes in going for one big kill that only results in bringing little else than suffering for the people as the State strikes back with its full might. SAG’s political stance may be consistent which is where he draws all the reverence from, even from his opposite numbers. His approach, though, is not without contradictions. Recently, he had no problems in meeting with the ‘unofficial’ Indian delegation led by senior BJP leader Yashwant Sinha. Curious to note here is that Yashwant Sinha is a nobody in the BJP’s new political hierarchy or its scheme of things. The other member of this team, Wajahat Habibullah, has always supported status quo on Kashmir whatever the human costs of maintaining it. Back in 1991, he had allegedly ignored initial written complaints about the Kunan-Poshpora rapes when he was the divisional commissioner of the region. In contrast, just a few months ago when public rage against Indian rule in Kashmir was peaking and SAG was at his strongest, he saw great wisdom in slamming his doors shut on an official Indian parliamentary deputation. That, for many, was a good opportunity for SAG to leverage the meeting for the azadi campaign and put the ball back in the Indian court. It is another question this exercise of sending parliamentarians to talk to all ‘stakeholders’ (whatever that means) was pure eyewash and a diversionary tactic, as its outcome or the complete lack of it has amply shown. But, if you have the political capacity and guile, you can call the other person’s bluff and play by your rules the game your opponent is deviously forcing on you. SAG clearly lacks such shrewdness. He mostly goes by his immediate impulse and gut feelings. Long-term policy thought is completely absent in his calculus. It is just a day-to-day ad hocist approach that’s at work. Reason why his politics doesn’t go beyond a certain critical point. That makes the entire azadi movement look like a lost ship in stormy waters. In yet another recent flip-flop, SAG, along with other pro-freedom leaders, welcomed tourists and yatris to Kashmir and even invoked Islamic teachings to justify the invitation. That obviously was his ‘special winter economic package’ to placate a distressed business community in Kashmir. But what he conveniently ignored was how common Kashmiris had been smarting under his strike calendars that literally demolished Kashmir’s economy in the first place. Then there are questions about his elder son’s return to Kashmir after over 12 years in Pakistan where he overstayed on an expired passport. Some say he was given a ‘negotiated safe passage’ back into Kashmir by the GoI. There are others who say it was a trade-off when SAG abruptly pulled the switch on the sweeping 2010 uprising — a move that helped the State back into a position of control from a literal meltdown. Personally, SAG has been categorical (and also transparent) about his refusal to open any communication lines with the Government of India unless his conditions are met. Same cannot be said about people around him or other resistance leaders. But those who have seen him from the early 1990s have a different take on him. They think it was he who initiated, or at least encouraged, opening of communication channels with representatives of GoI back in the day. At heart, SAG is committed to seeing Kashmir come under the green- crescented flag. You can say he is the most important and trusted political outpost Pakistan has in this part of Kashmir. Though not to ruffle the dominant sentiment of Kashmiris, SAG has said it several times that he is not averse to an independent Kashmir. But his political vocabulary always refers to Kashmir as a ‘dispute’ between India and Pakistan that should be resolved through a 70-year-old UN-mandated plebiscite where Kashmiris have only partial say in deciding their political future. That, obviously, is to ensure an overarching role for Pakistan in any negotiations over Kashmir and also dial down the possibilities of an independent Kashmir so that Pakistan gets the ‘ownership’ of Kashmir. SAG’s staunch pro-Pakistan leanings haven’t though kept him from seeing the rulers of Pakistan in the eye when circumstances demanded so. During the presidency of Pervez Musharraf, SAG was all but dumped by Pakistan’s all-powerful security establishment in favour of Mirwaiz Umar Farooq and others whom Musharraf saw as his frontline men in Kashmir and wanted them to get into electoral politics. Musharraf is said to have told SAG in no uncertain terms to fall in line or get out of the way for openly defying his compromises on Kashmir. In a meeting at the Pakistan embassy in New Delhi in April 2005, President Musharraf snubbed a young confidante of SAG and refused to shake hands with him. That rubbed SAG the wrong way. And he was quick to retort, telling the all-powerful General on his face that this young man was a “graduate and not some Taliban.” Neither Musharraf’s seemingly invincible power and his bigger-than-life aura nor his ambiguous and indiscreet four-point Kashmir formula lasted long. Not only did SAG bounce back as Pakistan security establishment’s number-one go-to man in Kashmir but also persisted over the decades to become arguably the most potent force in the resistance movement. It is also said SAG was miffed at the July 2016 Uri military camp attack, purportedly carried out by Pak-backed militants. Although he dodged a question over this issue in this magazine’s interview, he had reportedly conveyed his resentment over this to the quarters that matter across the border. Many analysts have written of SAG as ‘unrealistic’ and out of tune with the exigencies of times. His refusal to agree to scale down his stand on Kashmir, open negotiations with GoI and settle for a compromise are often quoted among his political ‘sins’, if you like. But, the repeated azadi uprisings in Kashmir have proved why SAG, despite his limited spectrum of political choreography, is not the odd man out. In fact, the man has proven all soothsayers wrong just by sticking to his original script and also shown why his political line matters despite illusions of a surface normalcy. This is also where he derives all his political stature and credibility from as he stands out in sharp relief against a vast canvas of collaborators, turncoats or would-be turncoats. Over the years, the State has adopted a policy of isolating SAG over his uncompromising stand. At the same time, so-called moderates who are willing to settle for a State-dictated compromise are promoted. Interestingly, the more the State tries to isolate him, the more relevant he becomes. And the more credibility and popularity he gains. There is something that SAG has that you can’t but admire. A dedicated Jamaati all his life, he even preferred suspension from the Jamaat over his remarks that the Jamaat forced him to contest elections under the Indian constitution in the early part of his political life. The Jamaat wanted him to retract his statement. He did not. SAG repeated the same thing in the featured interview with this magazine. His suspension from the Jamaat was also, according to some, because of his resistance to the Jamaat’s secret rapprochement, and possibly compromises, with the GoI after it was battered in the State-sponsored Ikhwani military onslaught in the mid 1990s. He also methodically distanced himself from other resistance leaders whom he saw moving towards a compromise or cutting secret deals with the agencies. But there is a flip side to this as well. SAG has this tremendous weakness of arrogating the entire freedom movement and projecting himself as the exclusive leader of the movement. He wants to go down in history as the only leader who held out till his last breath. He has had some success in that. But not without damaging the larger interests of the movement and creating bad blood with other resistance leaders however incompetent or compromised they may be. In the 2008 uprising, he made these intentions public before a sea of people — no less than half a million in numbers. While addressing the people at the TRC Ground, Srinagar, he asked them to endorse him as the sole leader of the movement. That left Mirwaiz Umar, Yasin Malik and others fuming who were sitting next to him. Though SAG later mildly apologised for this act, the damage was already irreparably done. It also revealed SAG’s extreme and incorrigible obsession with being seen as the sole voice of the freedom movement. SAG’s recent rapprochement with Mirwaiz Umar and Yasin Malik is more out of pressure from across the border and not because of any new-found love for these men. The movers and shakers of the Kashmir policy across the border have reportedly been putting pressure on SAG to reunite the Hurriyat leaders if he is to continue to be their blue-eyed boy. Some people in the know of things say Shabir Shah’s induction into SAG’s Hurriyat, as its general secretary, was part of this plan despite misgivings about Shah and his cronies’ past connections. Even in this arrangement, SAG has maintained his predominance in deciding the course of things. It is said that when Mirwaiz and Malik were in detention after the July uprising, SAG released a press statement that he had been authorised by the two to issue protest calendars on their part as well, which they hadn’t. In recent times, SAG has considerably moderated his views on Islam as being the nucleus of the Kashmiri resistance. Previously, he would often stress upon the primacy of Islam in the political stratagem of the Kashmiri freedom movement. The deployment of religion as a tool of propelling a resistance struggle creates its own intractable issues. SAG perhaps realised this and recalibrated his stand to suit the current geo-political Islamophobic atmosphere. It has also helped SAG stretch his support base among communities of other faiths. Add to this, his compromising, friendly line towards the return of Kashmiri Pandits, the Amaranth yatra and similar issues where he could have turned the heat on the government by choosing a tough line. Today the man is touching ninety. He is debilitated by a host of ailments. Old age has got the better of him as he has lapsed into senility. Yet, he won’t let go of the leadership and gracefully pass on the mantle to someone else. If SAG, at this age and with these mental and physical conditions, thinks he is indispensable in the scheme of things, he must then be someone who considers himself eternally special. But is he? When SAG finally leaves us, there will be many who will long remember him for his uncompromising political conviction. There will be many others who will be critical of him for having failed to develop a cogent and coherent narrative on Kashmir’s case for azadi. For the most part, SAG has specialised in rhetorical statements and an unimaginative repetitive political discourse. His interview with this magazine just about illustrates that, and how desultory his articulation of the Kashmir case is. You may say old age, but when did he do it any better? To write off SAG as a failure would be unjust. To call him a success would be an overestimation. His place lies somewhere in the grey shade which will take some deconstruction to fully understand the man and his politics. But whichever way you categorise him, in the end you have to give it to him. Over the past six years, he has been imagining and running all his politics from within the four walls of his home. The State ‘loves’ him so much that it doesn’t want him to take the trouble of stepping out of his home in this old age. He is barred even from offering mandatory congregational prayers. But despite the thorn he is in the State’s flesh, it would rather like to see him live on as an ultimate nightmare awaits it. The epic numbers that would stream on the roads on his death and quickly metastesise into an all-out freedom procession is something the State can hardly handle in a non-military manner. And after SAG is gone, and the blood and dust have settled down, his detractors and supporters alike would then wonder and ask: Was Syed Ali Geelani the last man standing? Post Script: If you watch videos of Syed Ali Geelani being arrested, you will notice an interesting and intriguing recurrence. As cops respectfully guide their prisoner into the waiting vehicle, Geelani always prefers to sit in the front seat. Is it to show that ‘I am in the driver’s seat’? Or, a mere show of power? Or, in the words of Faiz: Karo kaj jabbeen pe sar-e-kafan, meray qaatiloon ko gumaan na ho/ Ki gharoor-e-ishq ka baanq’pan, pas-e-marg hum nay bhula diya.